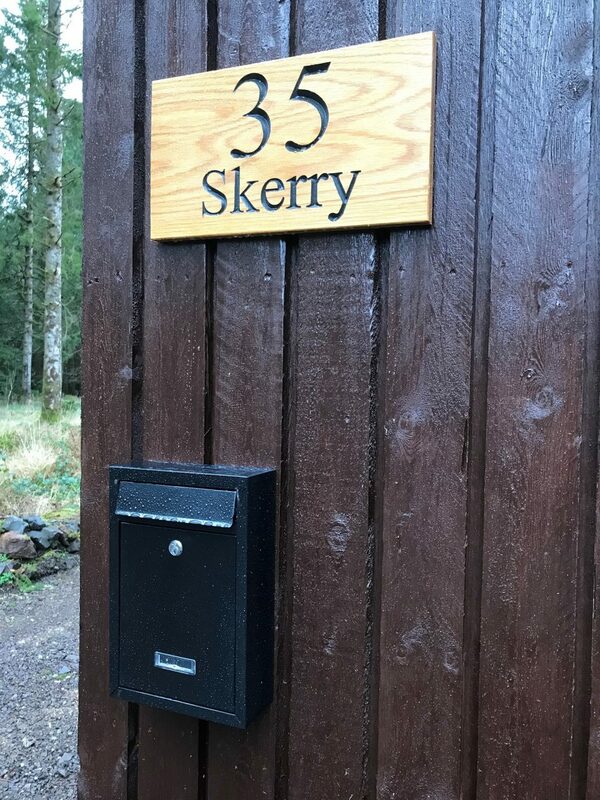 Skerry Cabin provides accommodation for up to five guests in two bedrooms. This tastefully finished and well equipped cabin is a peaceful retreat, deep in the forest. 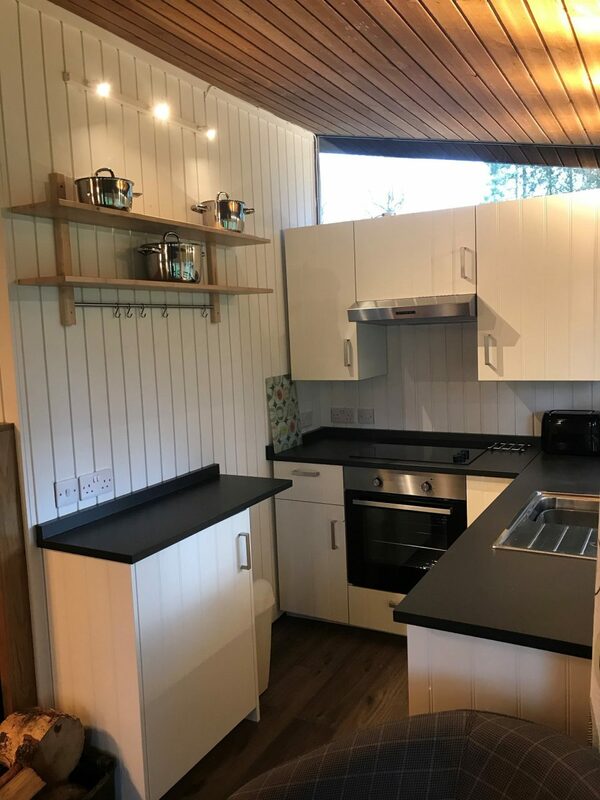 The cabin was fully refurbished in 2019 and accommodation consists of Living / dining area, kitchen, two bedrooms, shower room, second W.C, entrance vestibule, garden and veranda. 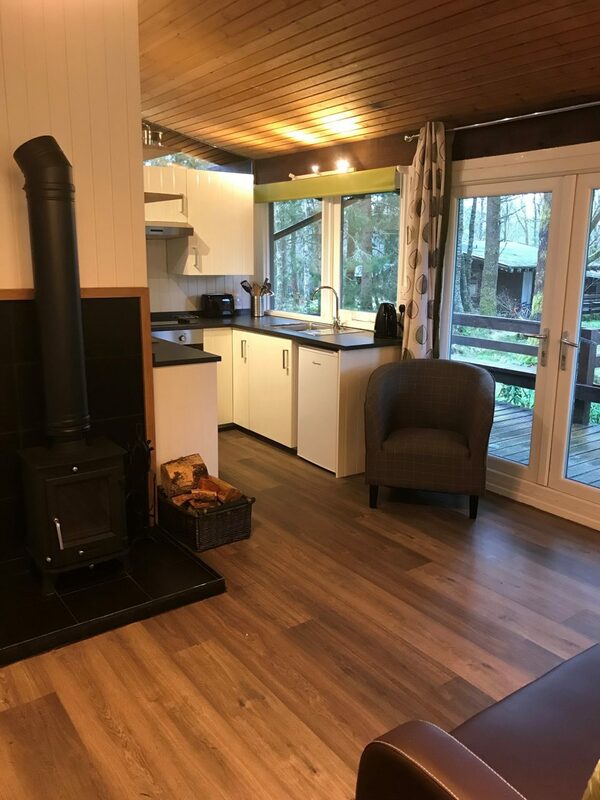 Living / dining area has sofa and arm chairs, Freesat TV / DVD, Wi-Fi, Bluetooth music player, fold away dining table and chairs, a lovely wood burning stove and patio doors opening onto raised veranda, with views into the forest. 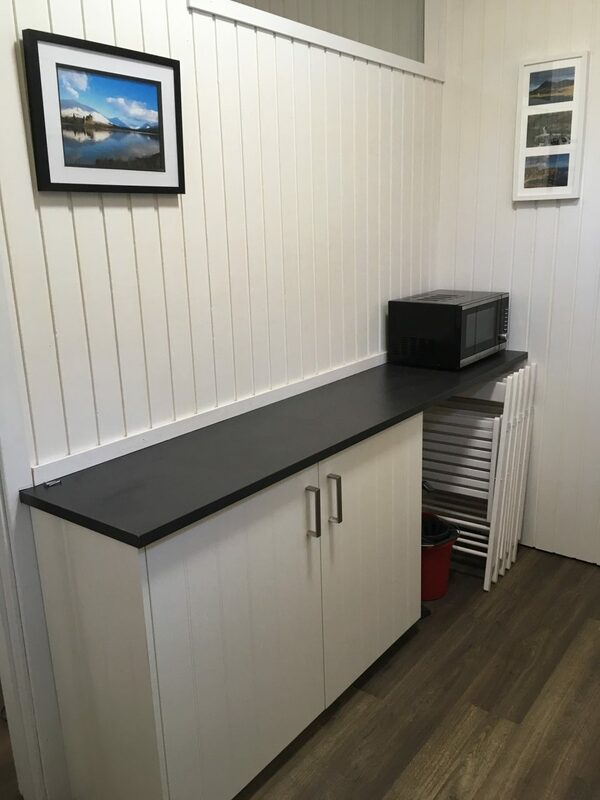 Kitchen area is well equipped, with oven, hob, fridge (with freezer box), kettle, microwave and necessary utensils, crockery and cutlery. 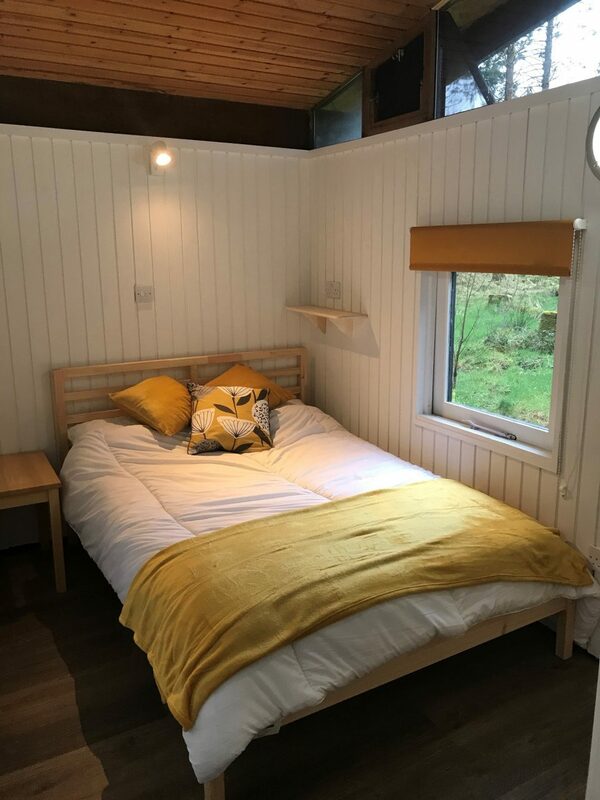 Bedroom 1 has a double bed, clothes storage and an en-suite shower room. 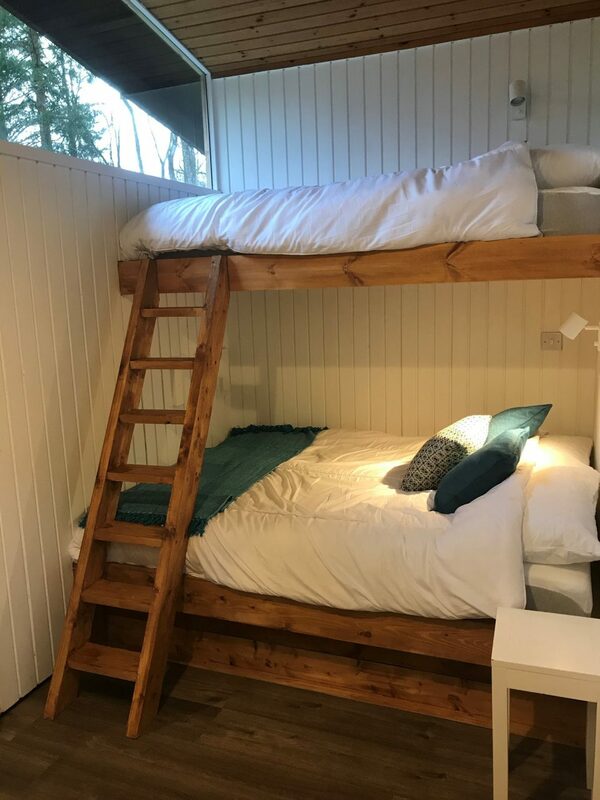 Bedroom 2 has a double bed with single bunk above and clothes storage. 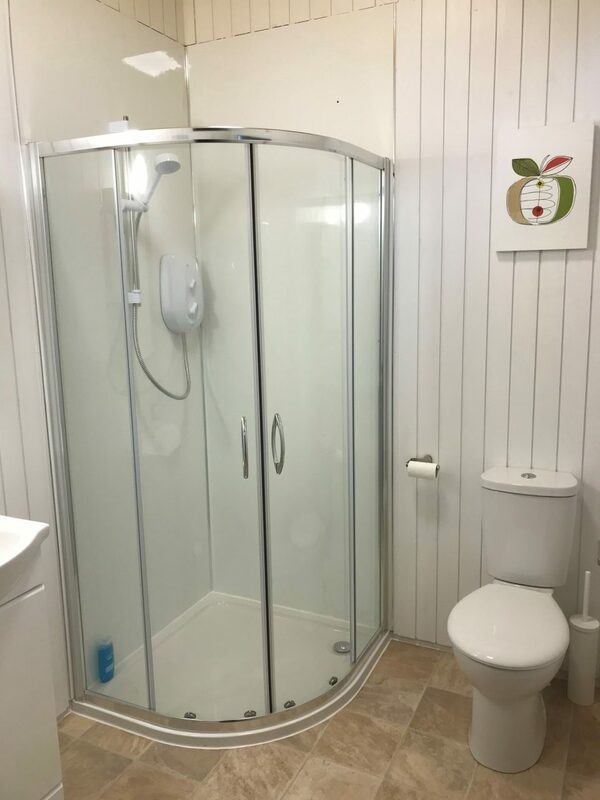 The family bathroom has a shower, W.C., wash hand basin and bathroom cabinet. The entrance vestibule is ideal for coats and boots and there is a shed with a chest freezer. 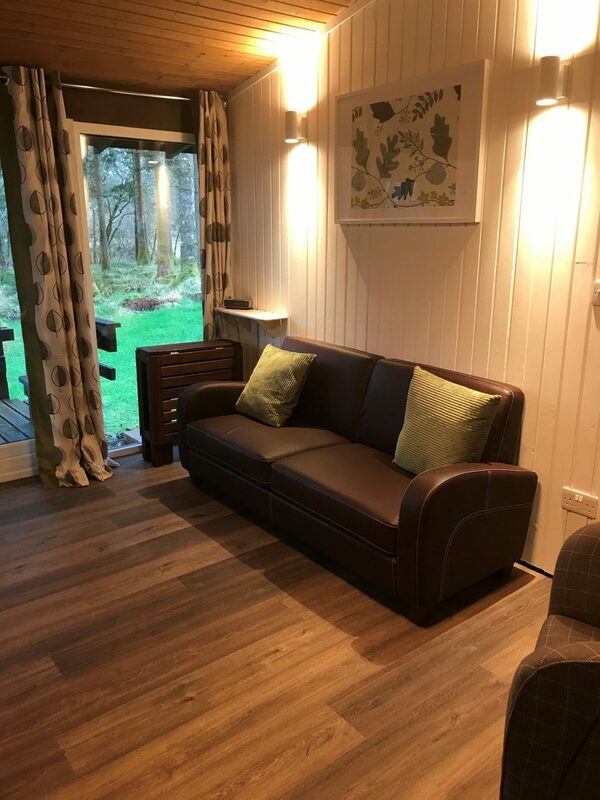 Outside there is parking for 2 – 3 cars, a fire pit / BBQ area, veranda with garden furniture and an ample garden, surrounded by forest. A great location for peace and quiet and getting close to nature.